Our little friend Jax plays us tunes on my guitar. I’ve been neglecting my blog for a couple years now. And I am remiss. So much has changed since my last post. And my current exhaustion on the road from Tennessee to Alabama prevents me from going too much further here and now. But, I want to make more of an effort to connect with yinz in a written format – potentially my favorite format. Photos also hold a special place in my heart. A couple of my friends from high school are parents to the little guy in the picture above. 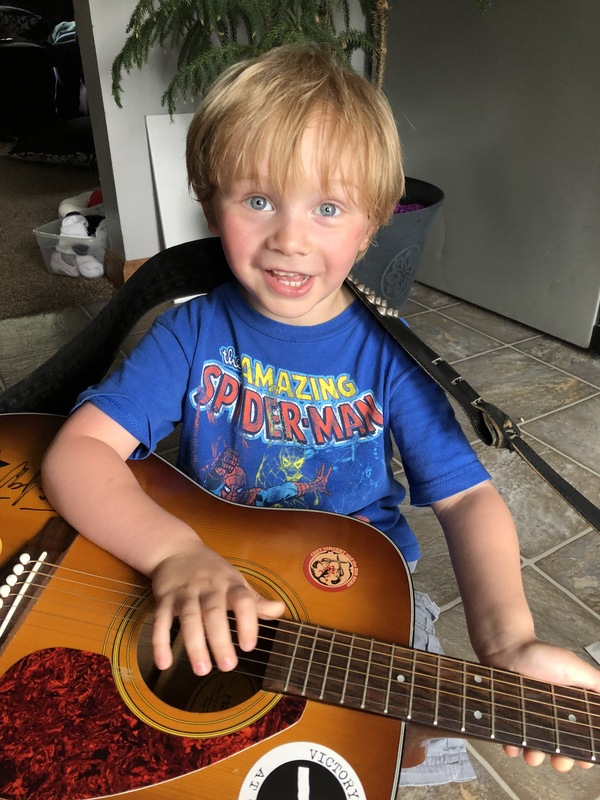 Few experiences rival the feeling of introducing a child to music making and seeing their face light up, while gaining an interest in playing music. I’m so happy to introduce young folks to the power and joy of music. I hope to deliver this message of hope to all people. This entry was posted in Blog and tagged love, music, tour. Bookmark the permalink.